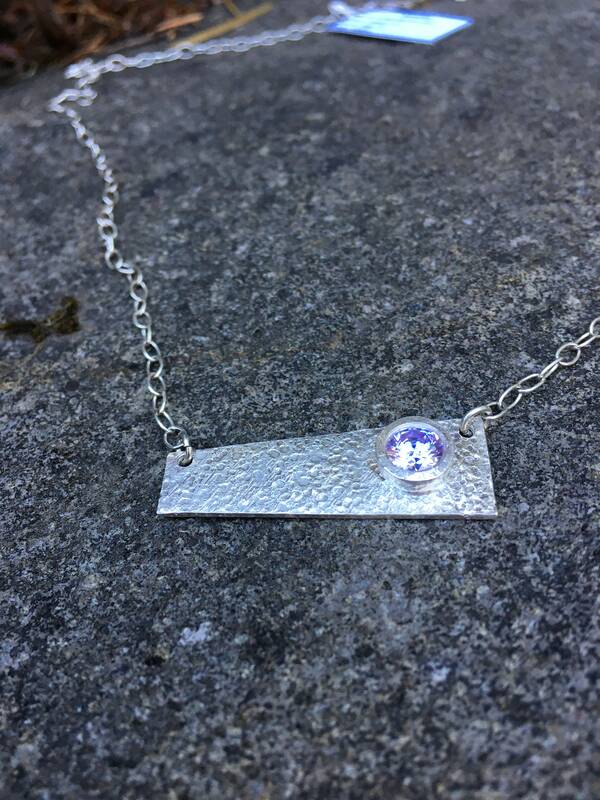 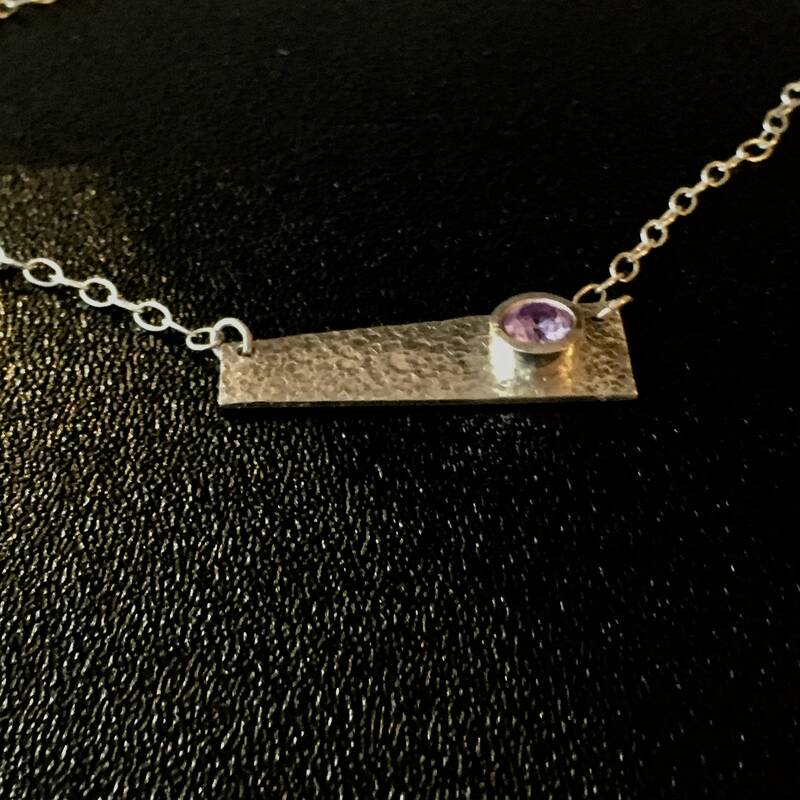 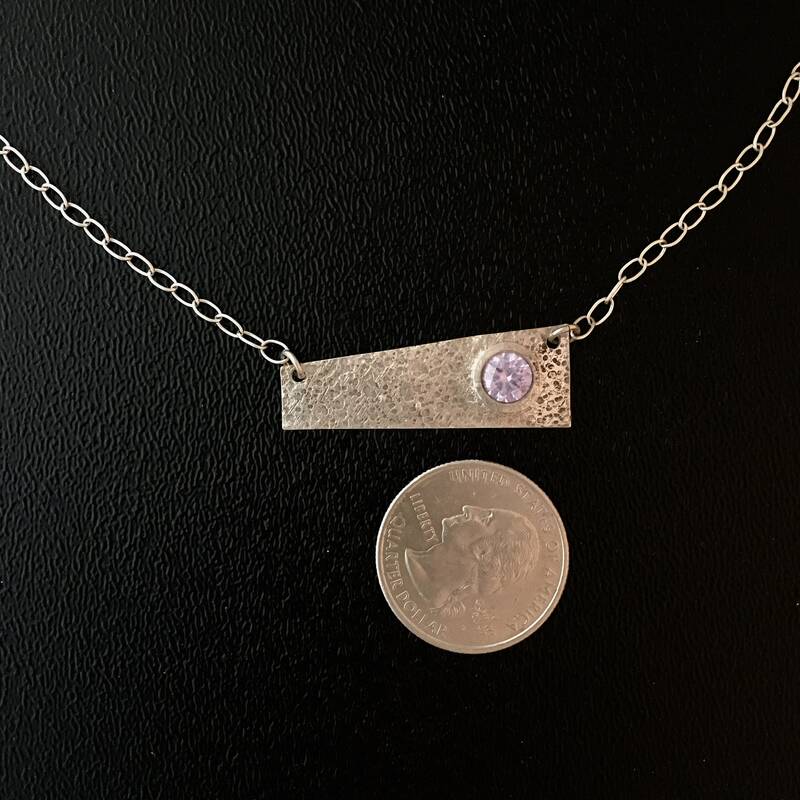 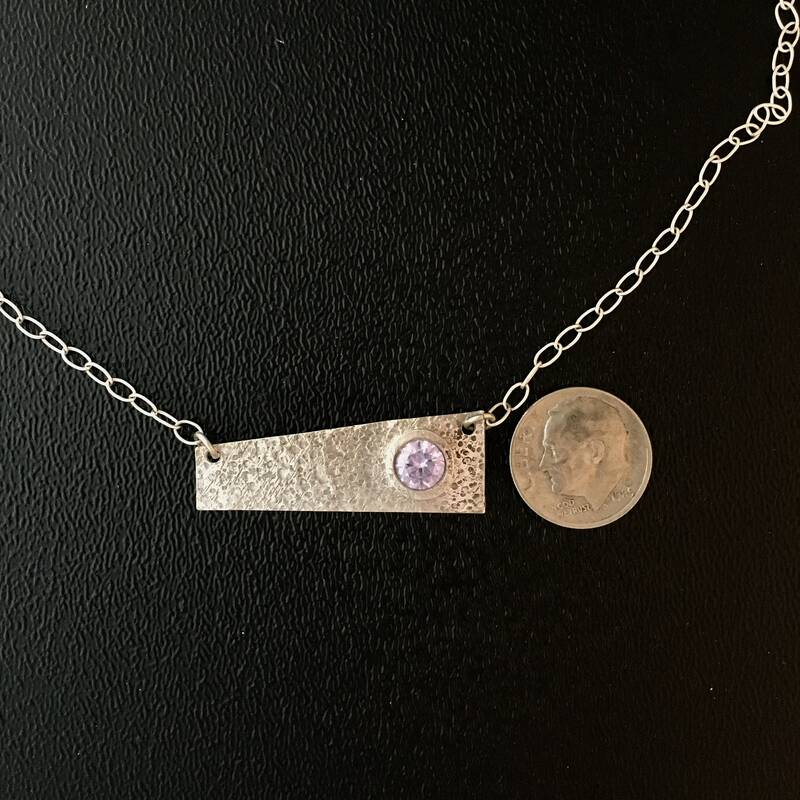 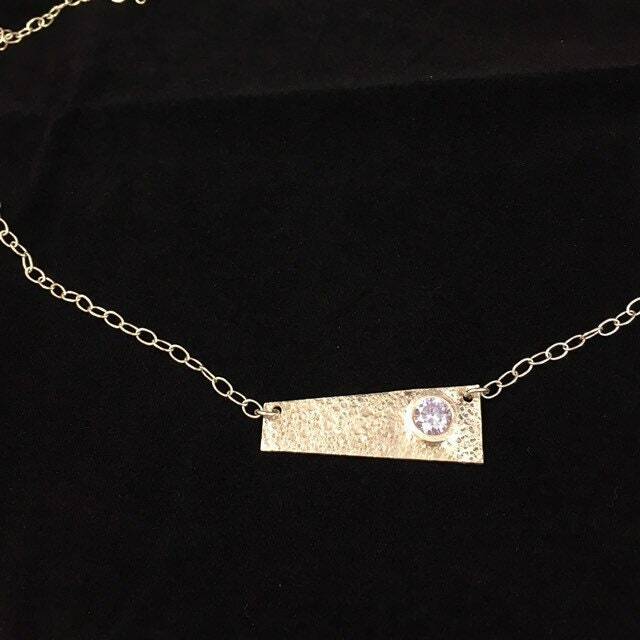 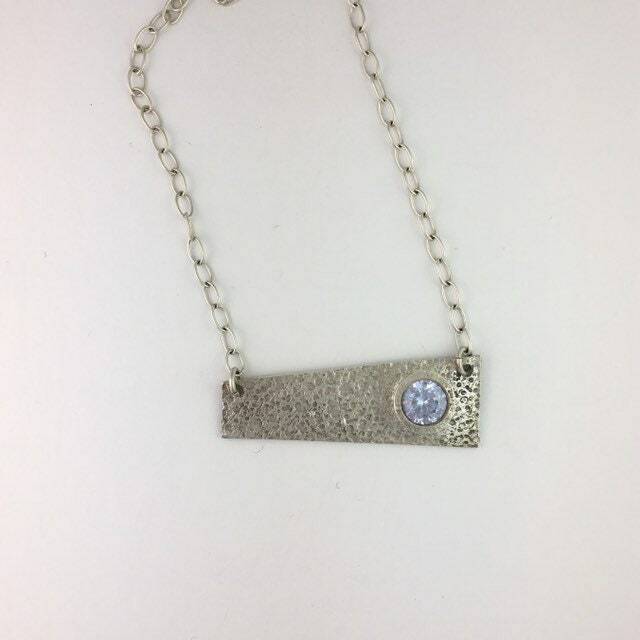 Sterling Silver Textured Bar Neckace with a 6mm Pink Cubic Zirconia. 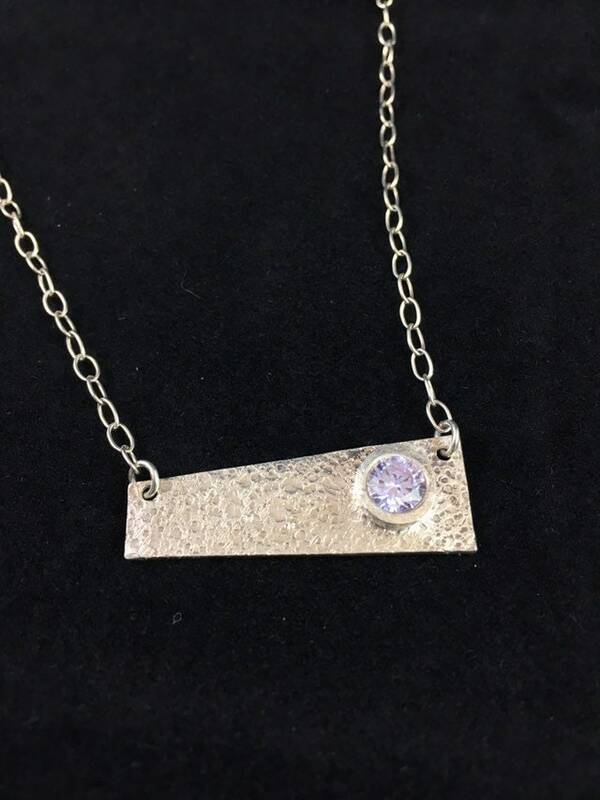 This is a great necklace with a beautiful cubic zirconia that will catch the light and sparkle. 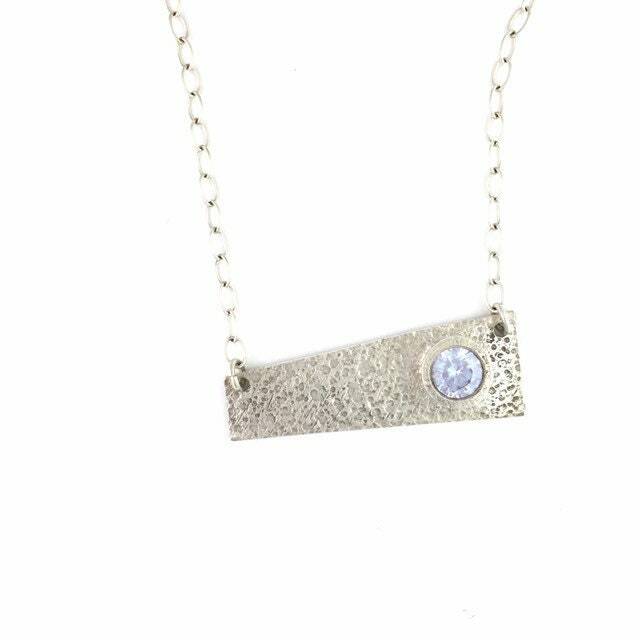 Perfect to wear for an evening out. 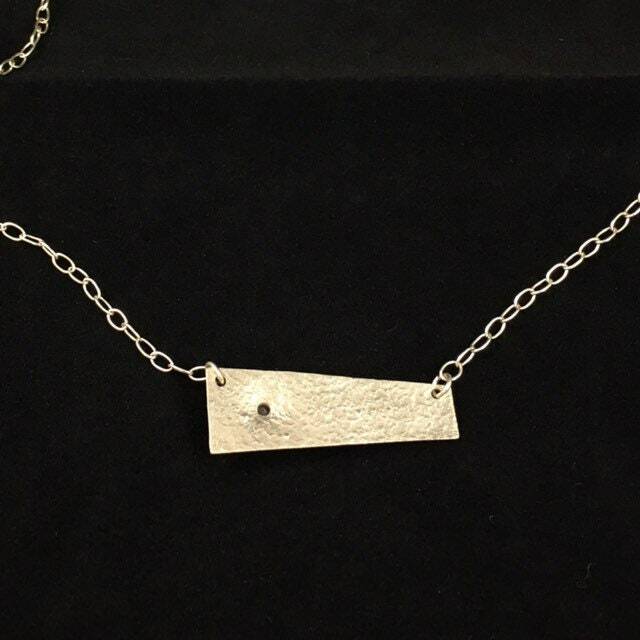 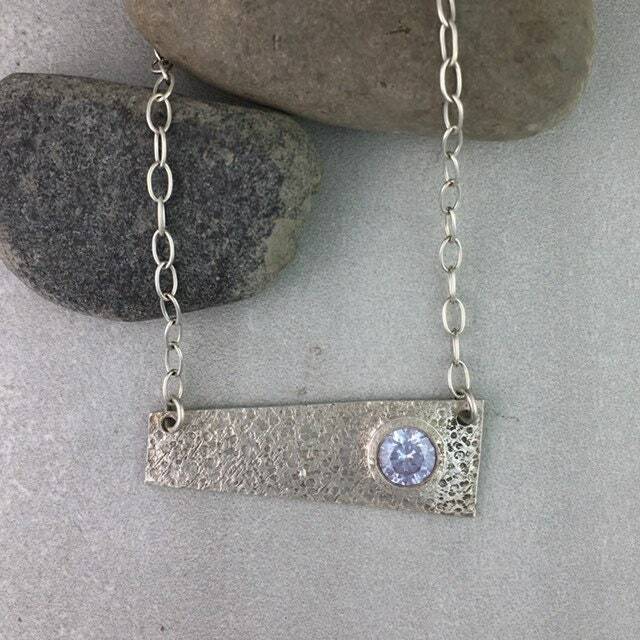 *Length including Sterling Silver Chain is 21"
*Width of Bar is just under 1/2"